Idaho has become rather popular. In their annual migration survey, the Atlas Group called Idaho the #1 inbound state while Wyoming led the outbound list. The rank was based on a comparison of each state’s inbound and outbound movers. States that were close to 50/50 were balanced. 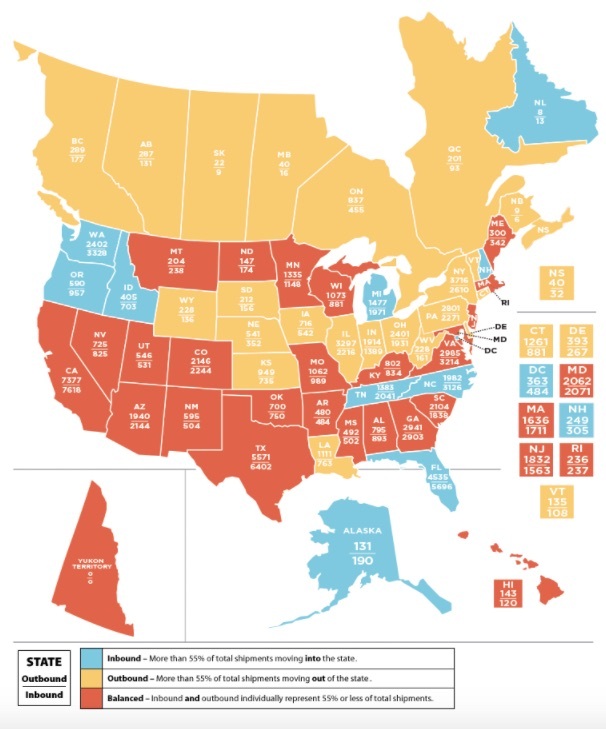 You can see below that the number of (dark orange) balanced states far exceed those with an outbound or inbound tilt. 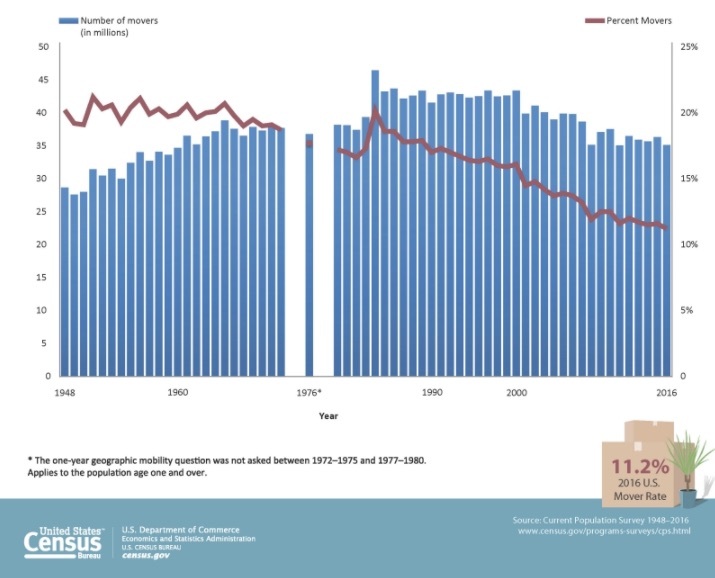 Atlas and the U.S. Census conclude that the trend is down. Looking at 2015 and 2016, Atlas said they had 2,278 fewer moves. 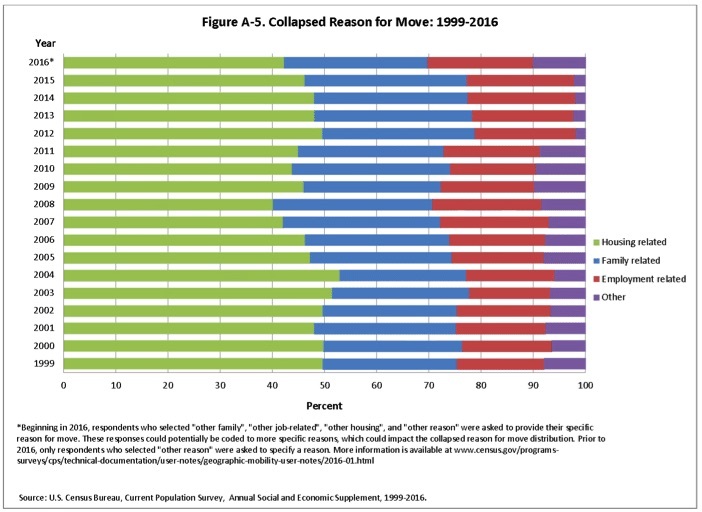 Similarly, the U.S. Census noted an all time low moving rate in its 2016 report. We really aren’t sure why we are moving less. Such a longterm trend makes it tough to find explanatory patterns in housing and labor markets. Looking back though, we do know that migration has been an economic plus. Being able to form a national market facilitated regional specialization. It let us allocate land, labor and capital most efficiently. My sources and more: Useful for identifying national moving trends, the annual Atlas World Group migration report provides a consistent summary. It took me to data from the U.S. Census Bureau and then some analysis at the Conversable Economist and City Lab.